Exploration no. 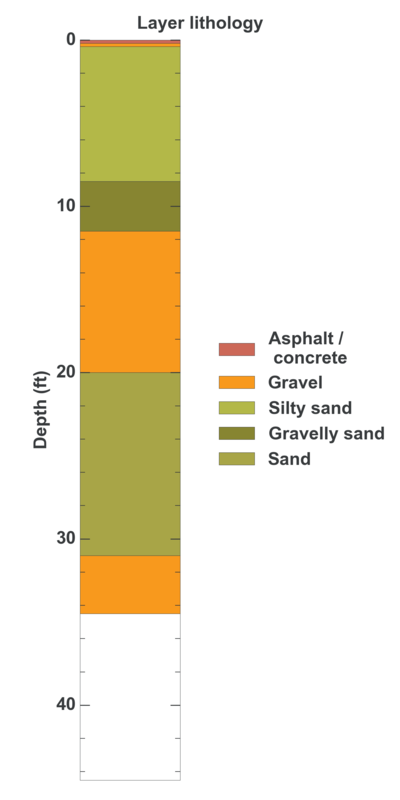 61750 is a Geotechnical (depth 34.5 feet) named: B-4 described in subsurface document no. 11211. The document, a report titled Subsurface Gasoline Spill was prepared by GeoEngineers, Inc. on 07-14-1982 for a Automotive / fueling depot project.